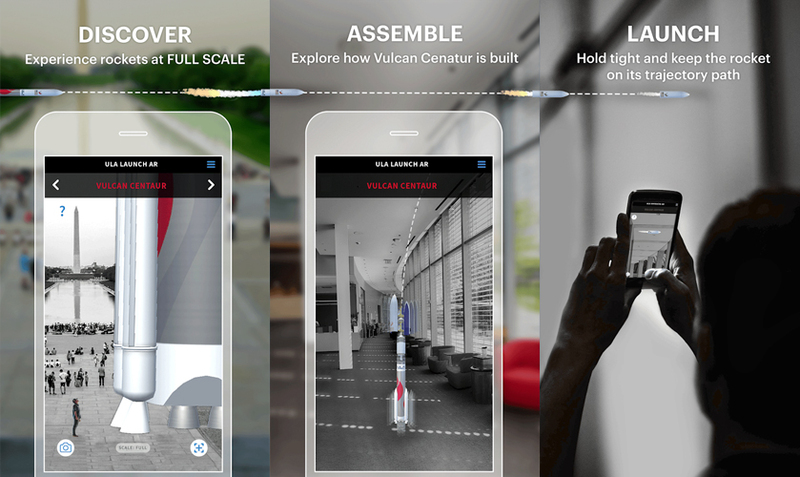 United Launch Alliance (ULA) has released an AR-powered mobile app that allowers users to grasp the scale of rockets in spaces they are familiar with, explore the next-generation Vulcan Centaur rocket, and fly virtual missions to space. The ULA Anywhere AR app was released to iTunes and the Google Play store on March 30, 2019. The app utilises mobile AR in much the same way as the popular Pokémon GO app to virtually place objects, in this case, one of ULA’s rockets, within an environment. 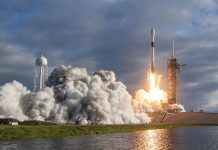 This functionality is used to allow players to grasp the size of the company’s rockets in familiar spaces as well as, offering a mobile gaming experience where players are challenged to launch progressively harder missions. 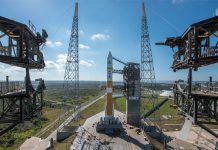 When playing a mission, players begin by picking one of three rockets, the Delta IV, Atlas V or ULA’s next-generation Vulcan Centaur rocket. Once a rocket is selected and placed in an environment, players launch the rocket and complete all major steps of the mission including SRB jettison, first stage and fairing separation, and payload deployment. Each stage of the game is based on real missions launched by ULA in the past. 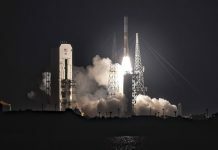 Although reeased late last month, ULA has used the 35th Space Symposium currently underway in Colorado to promote the app. 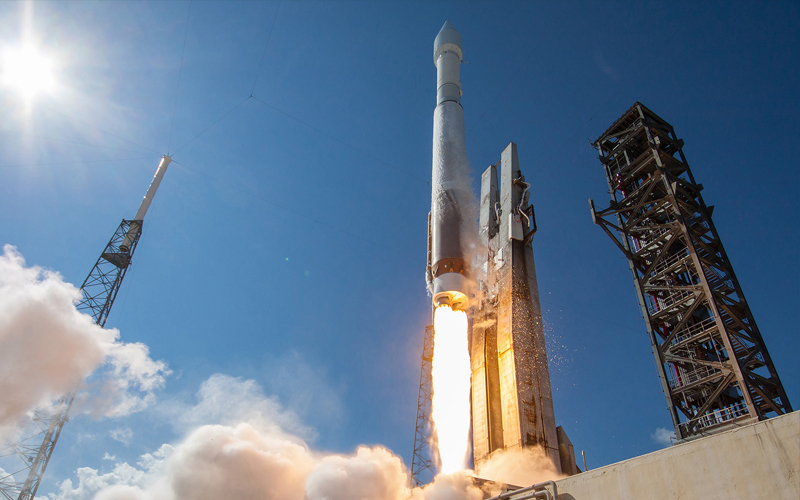 Attendees to the conference have been prompted to share images of ULA rockets in everyday spaces to social media with the hashtag #ULAAnywhere.